Get rid of the pen and paper at the gym and use your phone or computer to track your Crossfit workouts and see your progress over time. Automatically import daily crossfit.com workouts, scale them to match your skill level, or add your own workouts. This site is not associated or affiliated with Crossfit.com or CrossfitBrandX.com. It is instead intended to compliment and enhance the content on those sites. 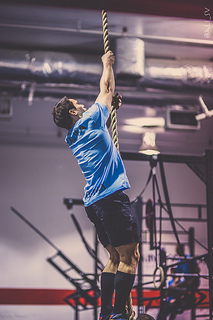 The use of the term CrossFit is done solely to communicate who the site is intended for and to describe the contents of the site. More information about CrossFit and its affiliates can be found at http://www.crossfit.com.